Storybooks in Japan have come a long way. 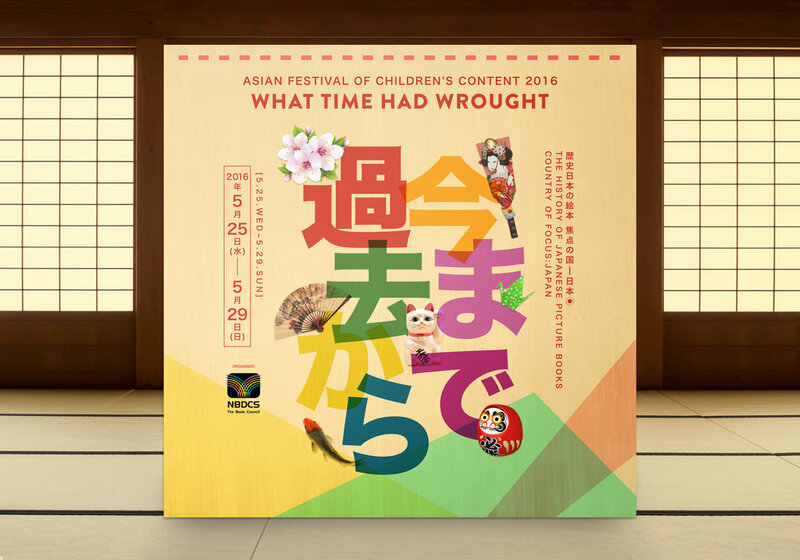 With the theme “過去から今まで” (What Time Had Wrought), the key identity experiments with the overlapping of design elements seen in some examples of Japanese graphic design in order to pay tribute to its rich layers of history, as well as to display its transition from past to present. Elements commonly seen in Japanese design, namely bold typography, overlapping coloured shapes, origami, and Japanese graphic characters, all tie back to the Japanese theme of the exhibition. Icons synonymous with Japanese culture, such as the Sakura flower and the Japanese fan, are also used in the key identity to further emphasize on the country of focus.